The Turkish government has arrested a total of 10 deputies from the pro-Kurdish Peoples’ Democratic Party (HDP) in the past couple of weeks and has seized the administration of 28 municipalities, jailing 37 Kurdish mayors in eastern Turkey. 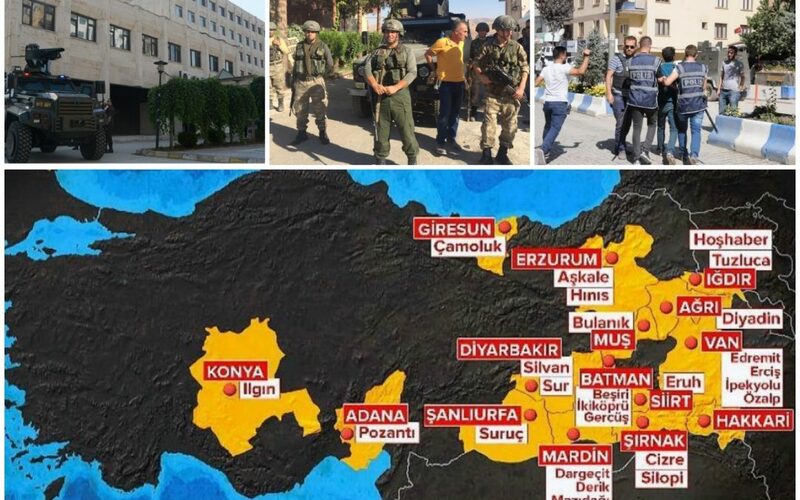 Moreover, the Turkish government has so far seized the administration of 28 municipalities in the country’s eastern provinces that have alleged links to the Kurdistan Workers’ Party (PKK). Turkish courts have appointed government-backed trustees to Kurdish municipalities and arrested a total of 37 Kurdish mayors who were democratically elected in 2014.